I’ve been covering the case of Gladstone resident, Gary Dassinger, and about his being put through the wringer on charges of animal abuse and neglect. Charges based on a 2013 law passed in North Dakota with the support of the Humane Society of the United States (HSUS). On Monday – nearly a full week later than expected – Judge Rhonda Ehlis denied Stark County’s petition to seize Gladstone rancher Gary Dassinger’s animals. It clears Gary of the civil proceedings against him and restores full custody of his horses and cattle. This now means Gary can begin selling livestock– something he was prohibited from doing until now. While the judge’s denial of seizure is an important win for the Gladstone rancher, her 23 page order was riddled with examples of how problematic the law is, missing information, conflicting analysis, apparent bias, and even a refusal to address Constitutional issues. At times, Judge Ehlis seemed out of touch with details of the case. For example; while correctly identifying that, according to the law, Stark County Sheriff’s Department had “custody” of the animals and was responsible for their care, she does not acknowledge the fact that the animals remained on Gary’s property and that he was the one caring for them– not the Sheriff’s Department . This is an important point, because to conclude her judgment Ehlis addresses the legal requirement that law enforcement be reimbursed for “costs of seizure and care of the animals”. She correctly states that part of that legal requirement is that a conviction must take place in order for the county to collect reimbursement and that this will have to be resolved “in the pending criminal matters… or be pursued in a separate collection case”. But here’s the problem… what is there to reimburse? With Gary caring for the animals this entire time – not the Sheriff’s Department – he most certainly wouldn’t reimburse them for something that he was doing. These are facts that Judge Ehlis should be familiar with, but either she’s unfamiliar with them or she’s attempting to portray the Sheriff’s Department as having done more than they actually did. Either way, it is unacceptable on her part. This leads me to an interesting twist. The legal requirement, once an animal is seized, is that “the law enforcement officer shall provide care for the animal, either directly or through a contractual arrangement with another person”. Stark County Sheriff’s Department NEVER provided care for Gary’s animals. Nor did they contract with Gary to care for them either. They simply claimed legal “custody” and the ability to come and go on the ranch as they pleased. Since Stark County Sheriff’s Department never provided or contracted for the care of the animals while they were legally obligated to care for them, does that mean THEY are guilty of neglect? Then there’s the obvious problems exhibited by the law itself. For example, Ehlis references the State filing a “Petition for Disposition of Seized Animal” on May 23, 2017. She acknowledged that this “allowed for the seized animals to be sold, placed for adoption, or to provide for their humane destruction”. Let that sink in for a while.The State can take your animals and dispose of them as they see fit without the owner ever having been convicted of anything . 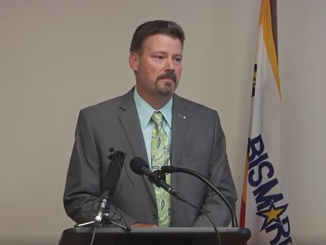 When Ehlis declares that Gary was guilty of neglect on April 22, 2017, she specifies that he was guilty “pursuant to” the North Dakota Century Code (i.e. the law). Of course, this declaration seems natural as a part of the legal document, but it illustrates the entire problem with this case… the 2013 law itself. To further illustrate this, let’s consider some of the things Judge Ehlis found that she believes were troublesome; dilapidated buildings, downed fences, debris, manure in pens, animals with medical needs, dead animals, etc. Now, I don’t know about you, but I’ve never visited a ranch that didn’t have some or all of these things on their property. And as one whose visited the Dassinger Ranch, I can tell you that it’s not the atrocity the State is attempting to portray it as. One aspect of this order that was prevalent to me was Ehlis’ apparent bias towards the State’s veterinarian, Dr. Kim Brummond. She declares her to be “a credible source and an expert”. While almost simultaneously referring to third party veterinarian, Dr. Carolyn Woodruff, as “jaded” but claimed that she “gave some weight to Dr. Woodruff’s testimony”. And as for Gary’s veterinarian, Ehlis said he’s “a credible source, although somewhat lacking in the experience of Dr. Brummond and Dr. Woodruff”. This bias is especially troubling for three reasons. One, Brummond has a negative history with Gary on an issue from many years ago that makes her ability to be objective questionable– at best. Two, she has been found guilty in the past – by the Supreme Court of North Dakota – of defamation. And three, there was nothing in this hearing that would indicate her credentials are any better than Woodruff’s or Noyce’s. In essence, Ehlis chose to believe the opinion of a veterinarian with a questionable background over the opinions of two other credentialed veterinarians who BOTH agreed seizure was unnecessary and that the circumstances were not as dire as Brummond purported them to be. Throughout the judge’s order, it just seems Ehlis is either missing or excluding important aspects of the case. For example, Brummond had testified of a horse being in such poor condition that it was unable to walk. But later in the hearing, there was photographic evidence of the same horse up and walking around. This type of evidence should not only call into question Brummond’s credibility, but it also makes me wonder why it was excluded from Ehlis’ comments in the first place. I found some of Ehlis’ comments not only highly speculative, but inappropriate – even inaccurate – as well. For example, she claims that “medical needs were not addressed”. This is simply untrue. Not only was Gary treating animals himself, but there were also instances where he called for veterinary assistance. A fact attested to during the hearing, but not acknowledged by Ehlis. Nevertheless, this illustrates the problem with the law. 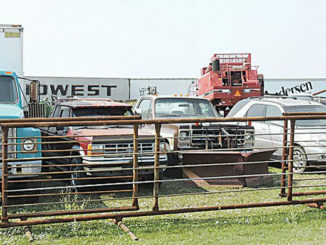 The State gets to determine what the proper way to care for the animals of ranchers across North Dakota is. Ehlis also refers to “piles of dead animals”. This is not only inaccurate, but inappropriate as well. There were no piles of dead animals on the Dassinger Ranch and there was most certainly not any evidence or testimony to justify making such a statement. There are legal and Constitutional issues that Judge Ehlis simply chose not to address. One of these was the issue I brought up in my July 5th article questioning whether the seizure order was even legal, because the law demands that only those animals believed to have been abused or neglected can be seized, but they seized them all. Ehlis even acknowledges that the State’s veterinarian, Dr. Kim Brummond, never viewed all the animals. Which supports the argument that all the animals shouldn’t have been seized. Yet, this issue was ignored in her analysis of the law. Ehlis also avoided the Constitutional issues raised by Gary saying, “There is no need to discuss these constitutional issues as Dassinger has prevailed.” Which means the only way they can now be addressed is as part of his criminal case. Two of the issues with the current law, that I see as definitely needing to be challenged and changed, have to do with due process and illegal search and seizure. The due process aspect of the law may even be a slam dunk. Ehlis herself admits in at least two places in her order that due process is not contained in the existing law. Ehlis’ reason for denying the seizure is fascinating, yet troubling as well. On one hand, she says Gary was guilty of neglect on April 22, 2017. While on the other, she says that by May 18, 2017 – when the Petition for Disposition of Seized Animal was made – that “seizure and disposition were no longer appropriate”. I say it’s fascinating, because the timeline she cites favors Gary. It is simply impossible for animals that are abused and neglected to go from the condition the State portrays on April 22nd to the condition they acknowledge they are in on May 18th. It’s just not possible. I say it’s troubling, because Ehlis says, “The State gave Dassinger the chance to rectify his situation even though” the law “did not require them to provide this courtesy”. Then this comment, “Because they did so, they lost this case.” These are chilling statements that have serious implications for other animal owners moving forward. The message to law enforcement is clear. 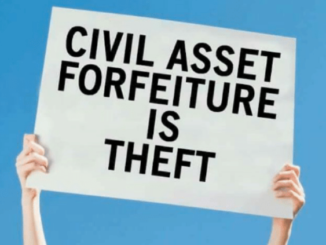 If they don’t want to be denied seizure and disposition orders, they better not “provide this courtesy” to the owners of the animals they want to seize. There is so much in this 23 page order from Judge Rhonda Ehlis that could be addressed. 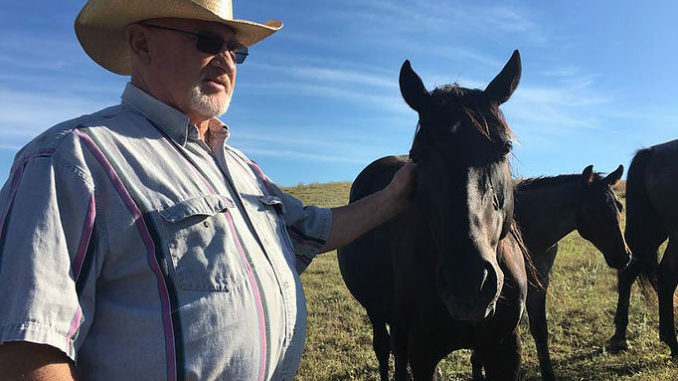 But suffice it to say that though Gary Dassinger prevailed in having the seizure order denied, there is more than enough in her judgment that should trouble every rancher – in fact, every animal owner – across the state of North Dakota. Prevailing in the seizure order was just one battle Gary must win. On the 31st of this month, the State will present their case and it will be decided whether it will go to trial. Given the comments of Judge Ehlis in her order denying seizure, I suspect the case will proceed. At that point, not only will Gary’s attorney be seeking to prove his client’s innocence, but he will be fighting for the rights of every rancher in North Dakota. 23 page order can be viewed here.